I wanted to share recaps for all of the press conferences to occur so far to keep you up to date on the top happenings at the annual event. Please find these recaps below. Tomorrow, I will be posting a recap of Nintendo’s events. EA’s press conference was quite varied, touching upon product news, VR support, esports player-focused competitions, and corporate initiatives. With VR, EA hyped up its upcoming Star Wars games (after signing a deal with LucasFilm in 2013) and while doing so teased VR integration within the games. A brief glimpse was given when an employee took the stage wearing a PlayStation VR headset, showing the audience the inside of an X-wing cockpit. It was then announced that DICE was working with Criterion on an exclusive Star Wars Battlefront VR mission, that’ll be available later this year. During the conference EA announced a few corporate initiatives that will take hold for the company this year, mostly aimed at giving back to developers and the community at-large. EA Originals is a new program committed to partnering with small developers who create unique experiences for players, and giving them the funding and aid they need to bring their games to a larger market and demographic. The first game in EA Originals will be Fe, an atmospheric adventure game from Zoink. Play to Give is all about celebrating the gaming community, and is marked by EA donating $1 million in total to five charities that benefit underserved demographics in gaming. In-game events for players will also benefit the Play to Give initiative by raising players’ awareness to the charities. EA’s “esports for everyone” program is the company’s first official foray into esports by putting up $1 million in cash prizes for all tiers of gamers to play Madden for the chance to be compensated for their skill and desire to share it with the world. General Sentiment: EA’s first annual EA Live conference won over press by touting out AAA titles and franchise updates, alongside a good number of interesting and new initiatives (esports, VR, social good) for the company. Press was pleased with the variety of announcements made, although the games-specific announcements didn’t necessarily give press enough to dive into and get particularly excited about. Bethesda gave peeks at what’s to come for Fallout 4 and Doom in terms of VR content, although it is still unclear how both games will ultimately be brought to VR platforms. Creators promised Fallout 4 in full-VR, though the game wasn’t originally designed for VR immersion, and offered a virtual tour for Doom – with no other details for a full-scale VR launch for the game. General Sentiment: Bethesda’s second-ever E3 conference was well-received with press most notably excited to check out Fallout and Doom in VR and getting its hands on the heavily anticipated Dishonored 2. The news that Bethesda is bringing back Quake has media intrigued given the recent success of the resurrected Doom, but wonder if the shadow of Overwatch would make it too difficult for the title to achieve a player-base. The reboot of Elder Scrolls V: Skyrim was well met and press are excited to check out the card-based version of the Elder Scrolls series — will it hurt Hearthstone at all? Microsoft’s press conference was heavily hardware focused with product news and corporate initiatives rounding out the event. On the hardware front, Microsoft revealed a new version of the Xbox One, “Project Scorpio,” which Xbox boss Phil Spencer said it will be “the world’s most powerful video game console.” Releasing fall 2017, “Project Scorpio” will be capable of running 4K-native gaming, able to support virtual reality experiences, features a hefty six teraflops of power and will be backwards compatible with all other Xbox One titles (albeit with noticeable performance improvements). Microsoft also unveiled the upgraded Xbox One S, a 40 percent smaller Xbox One featuring a sleek white paint scheme and available with different memory options. 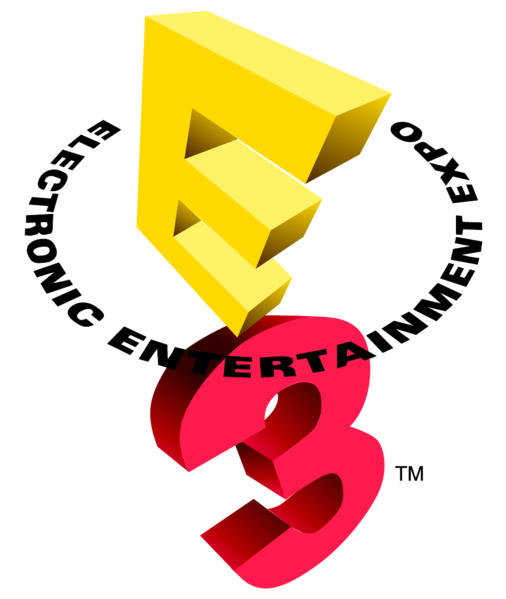 Microsoft’s corporate initiatives announced during E3 mostly encompassed bridging the gap between the company’s two core audiences – console and PC. Xbox Play Anywhere program allows players to cross play – granting anyone who purchases a game on either Xbox One or PR a free copy for the other platform at no additional cost. Oculus integration with Xbox Scorpio was also alluded to in the the conference and is hoping to make virtual reality more accessible and convenient for gamers, regardless of platform. General Sentiment: The Microsoft conference was jam-packed with announcements of all types – the agenda was leaked ahead of time, cluing press into what was to come in advance. While press thought the conference was strong in terms of software news and updates, the hard-sell of a new Xbox console was not lost on press, with many wondering if this new PC-like frequent upgrade strategy will work with Microsoft’s audience. The PC Gaming Show, hosted by PC Gamer and sponsored by AMD, was seemingly more than 100 minutes of game announcements – new reveals and updates, trailers, interviews and gameplay footage, one after another, with only a fraction of the time dedicated to PC hardware. This conference was essentially all about the games. Although largely games focused, AMD did debut three new high-end AMD graphics cards. The RX 480 (specifically for VR), the 470, and the 460 — all launching on June 29th. General Sentiment: The PC Gaming show was full of demos and canned footage, and because of that the show began to overlap with the Ubisoft Conference. Like last year, press made mention that the show went on too long. The show concluded with famed video game designer, Warren Spector. He spoke about how at one point he thought PC gaming was dead, but concluded and evidenced by the high volume of PC-centric announcements, that 2016 and beyond will be great years for PC gaming. Many media outlets were excited to see Warren on stage and shared his sentiments. Overall, press enjoyed the PC Gaming Show due the to many announcements and publishers on one-stage, but there was a notable contingency still questioning the need for a PC-only show at E3. Although there were no Assassin’s Creed updates like years before – Ubisoft’s conference included new trailers for upcoming titles, VR games and a couple of new reveals. Although a couple of VR titles were announced at the Ubisoft conference, VR did not dominate its presentation like at some of the other shows. To show seriousness surrounding VR, Ubisoft did bring out Oculus Founder Palmer Luckey to introduce the upcoming VR games that have been in development with the headset company (Side note — Oculus had three executives appear across separate E3 conferences — Microsoft, PC Gaming Show and Ubisoft). General Sentiment: Ubisoft celebrated its 13th year anniversary at the conference and did so by being all about the games. From a wacky Just Dance 2017 number to open the show with on-stage dancers, to an exclusive clip from the upcoming Assassin’s Creed film, Ubisoft kept the conference focused on product. Press enjoyed the loose format and sometimes odd shenanigans on stage, and were equal parts impressed with new games and not at all surprised with updates announced to existing games. Sony ended the annually jampacked E3 Monday with a heavy focus on PlayStation 4 products and more insight into its VR plans. It surprisingly did not unveil the heavily rumored (arguably already leaked) “PlayStation 4 Neo” despite Microsoft unveiling its upcoming mega-console, “Project Scorpio.” Notably, the PlayStation Vita was never mentioned on stage. General Sentiment: Reaction to Sony’s press conference remained positive as to recent years with the company seemingly in immense control over its leading position in this generation’s video game race. Many media outlets crowned them the “Winner of E3” despite surprisingly no mentions of the PlayStation 4 Neo. Social media exploded with Hideo Kojima’s inclusion on-stage and the unveil of his title with Norman Reedus. Many are eager to get their hands on “accessible high-end VR” as well when Sony’s VR application launches this October.